Thought you got a buzz from the sales? The adrenaline of scanning the rails of clothes and the feel of a bargain in your hand? Well wait until you go to a sample sale. 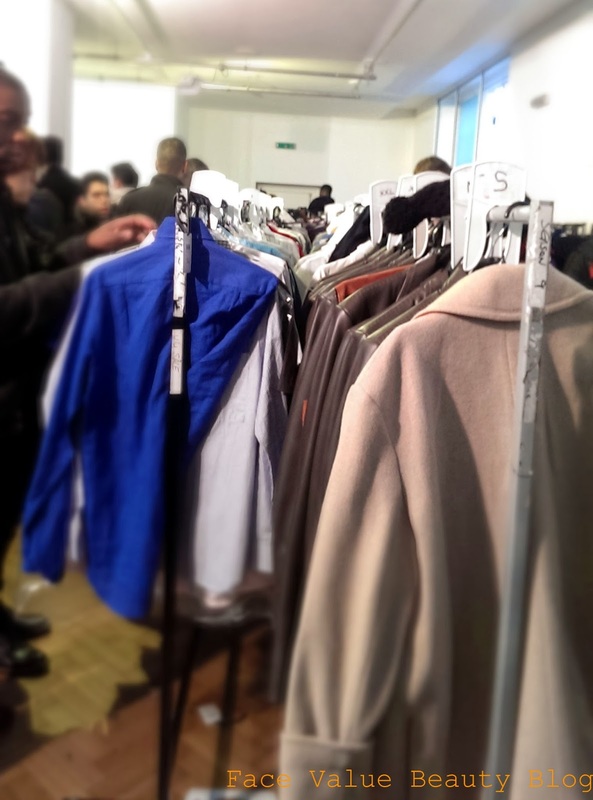 Sample sales are used by retailers to get rid of excess stock at reduced prices. They’re often limited to a day or two and open to the public – DO you need any more reason to go!? Historically, the items were the samples which were sent to buyers, presentations and shows but these days, its more likely to be summer stock being cleared out in winter and old lines being cleared. 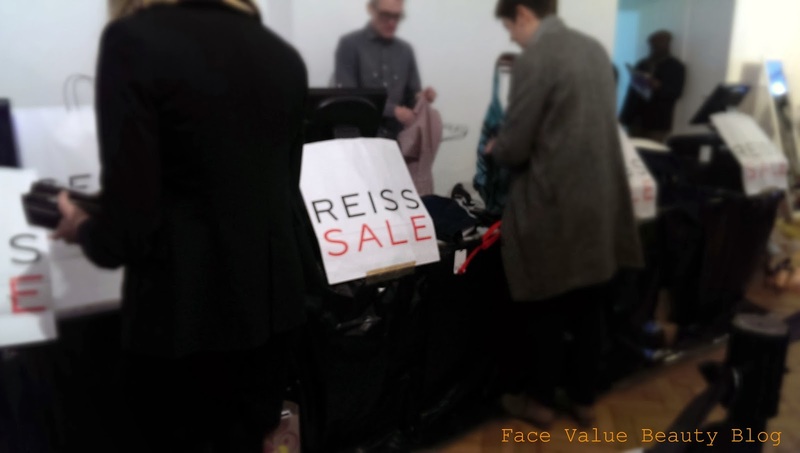 So last week I attended a REISS sample sale with my pal Charlotte R and, despite the 7:30am queue, it was SO worth it! It was Charlotte’s first time at a sample sale and when telling her my hints and tips it occurred to me to write a post about sample sale etiquette. I may as well share the knowledge which I have amassed from my days of frantically running around (or crawling around) other sales. Yes, crawling – for reals. Wanna know why? Keep reading. The queue – no saving spaces for more than 2 people! The worst thing is when you’re queuing tantalisingly near the front at 7am, and by 7:30 you’re already an extra 20 people down the line because people have let their friends in. Shotgunning – once you’ve put it down and taken your mitts off it...it’s legally up for grabs from other people. Pushing – Depending on the size of the room, there will be plennnty of jostling and close contact (two words- oversize handbags). At a sample sale, people expect this, so don’t be that person who’s apologising to everyone whose personal space you enter. However actual pushing is just plain rude. Mirrors – Mirrors are often scarce at sample sales so if you’re trying on stuff – don’t hog the mirror! Scooch over and share it with someone else. The rule is, if you aint looking into it, move aside! Arrival – If you’re not going to make it there for opening doors, don’t assume it’s all over! Most sample sales frequently stock throughout the day. I went into REISS at 8am and when i came out at 9:30, there was no queue outside. Dress smart. The two longest queues are the queue to get in and the queue to the changing room. Don’t waste time queuing – wear thin layers so that you can try things on over the top. My outfit of choice is a cami and leggings. Travel light. You want two free hands and a bag which doesn’t need constant hitching up on your shoulder. Some sample sales will require you to sign in your bags but if not, you don’t want to be hauling around heavy luggage! 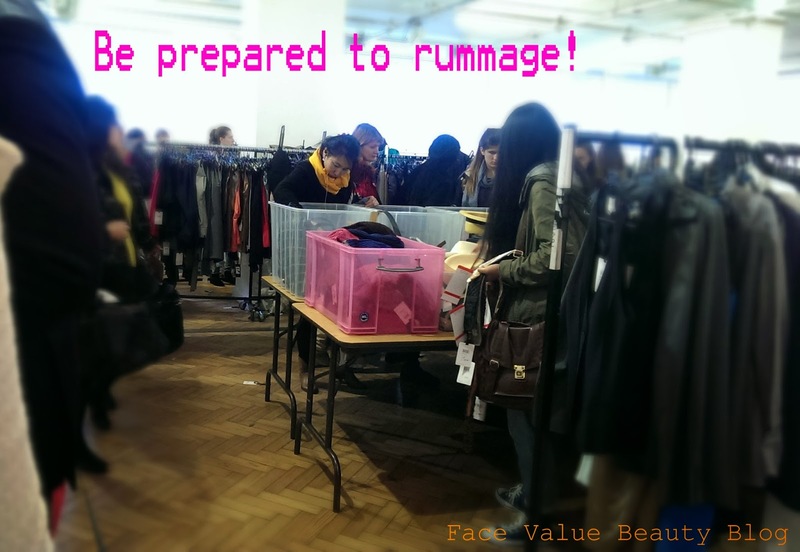 Be prepared to rummage. Although often organised by size or by type, gems always end up where you least expect so judge by eye! For me, that’s casting an eye at hemlines to immediately spot any which are shorter (and therefore smaller) than the others. Hit the floor. A lot of stuff on rails falls to the floor without even being picked up. This is where I’ve found the majority of my great finds, especially when late to a sale. Don’t be ashamed to get involved – no one minds and/or cares. In fact people will keep on rifling above your head! Check the items for damage. A lot of items in the sample sale are there because they’ve got small marks or faults. In a lot of cases, these may be treatable by a wash, a dry clean or a quick cross stitch but check and think about it! 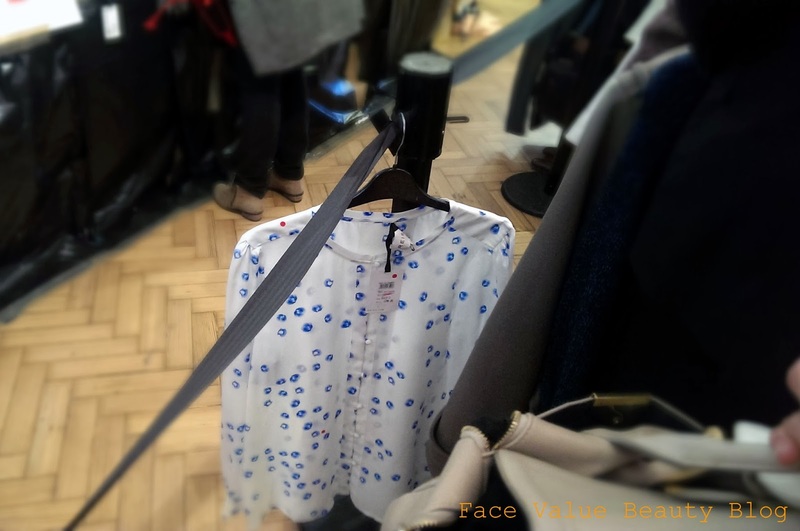 The REISS sale marked faults with small stickers to make it easier. So now you’ve heard my tips – let’s get to the important stuff. 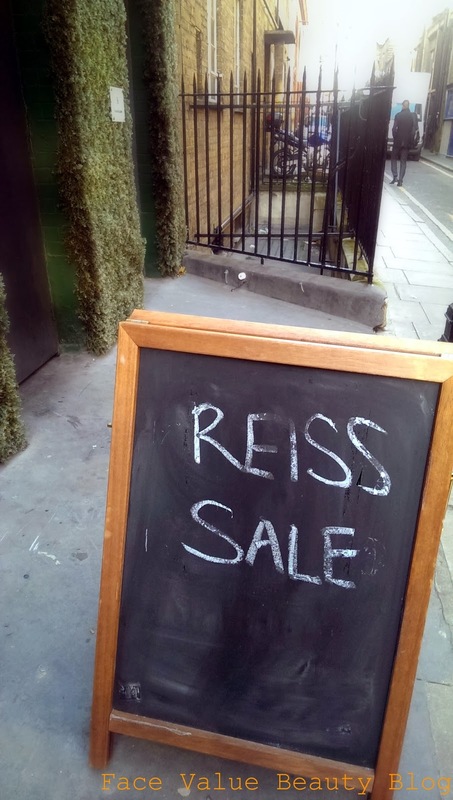 WHAT DID I GET AT THE REISS SAMPLE SALE? What bargains did I buy? How much did I pay? How many biatches did I knockout? 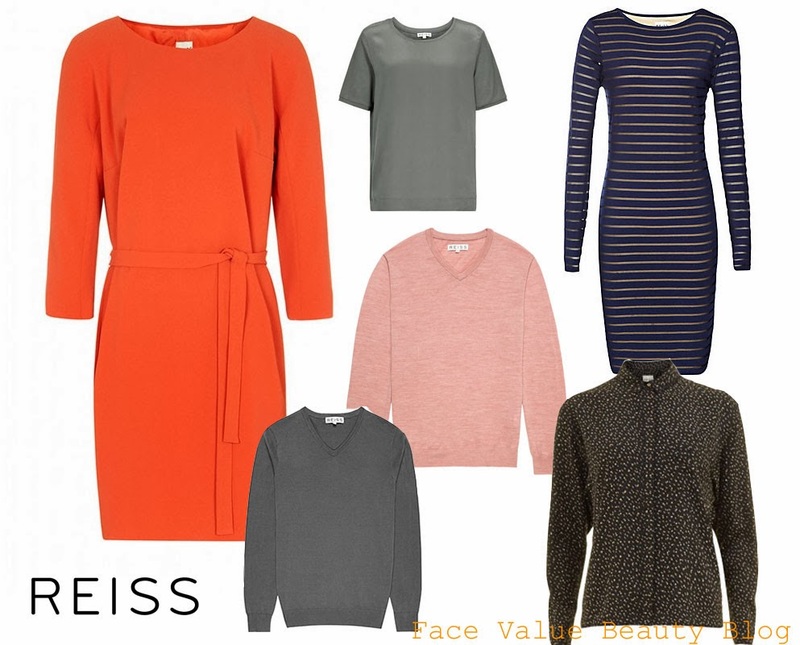 REISS is renowned for great quality pieces but at prices unfortunately out of my day-to-day budget! So I was absolutely overjoyed to find some real treasures at the sample sale. Now I can look effortlessly chic every day! I’ve made them into a pretty picture, just for you. Two dresses, two jumpers, a shirt and a tee – and how much? Given that these dresses retail for about £129 a piece anyway and were down to £35, I was very very very pleased with my haul! High fiiive! Do you like sale shopping? Have you been to a sample sale? Lots of people, frantic grabbing – I think people either love or hate them! What’s the best bargain you’ve ever bought? Next Post Boots Christmas – My Top Present Picks! If I give rating to online shopping i will give it 4 out of 5..Why ? It is the best way to save time and money, we ever see lots of offer and vary of brand of products, Lots of stock and latest variety of product. I always prefer to shop online thanks.